The Board of Cassia County Commissioners strives to guarantee that their appointments to Cassia County Committees, Commissions, and Boards will best serve the public interest of the County as well as be representative of a broad cross-section of the community. We ask you to provide us with the information that will best assist us in evaluating your application. While we appreciate all applicants’ interest and willingness to volunteer, due to potential conflicts of interest, Cassia County employees are not permitted to serve on any volunteer board that is overseen by the Cassia County Commissioners. 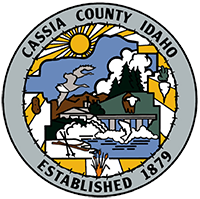 NOTICE OF OPENING FOR INDUSTRIAL DEVELOPMENT CORPORATION OF CASSIA COUNTY, IDAHO DIRECTOR. There are currently positions open for those interested in serving as a director for the Industrial Development Corporation of Cassia County, Idaho. This corporation is responsible for issuing industrial revenue bonds to finance the construction, enlargement, or equipping of manufacturing plants, and a limited number of non-manufacturing facilities. The focus is on enhancing the economic well-being of the community and the state. Interested candidates must reside in Cassia County, Idaho. A financial and /or business background would be beneficial. Directors serve at the pleasure of the Board of County Commissioners, and serve on a volunteer basis. Meetings of the Board of Directors is on an “as needed” basis. To apply please complete and submit the application listed below. This position will remain open until the right candidate is appointed. Please note all application materials submitted will become public record once submitted and may be disclosed under the Idaho Public Records Law, per Idaho Code §§ 74-102 and 74-106 (1).